Delta said Monday morning that its flights awaiting departure were delayed because of a widespread computer outage. The airline did not provide details of the computer outage or of the number of flights affected, but said in a statement on its website that the problem had affected flights scheduled for the morning. The airline confirmed in an update that a power outage in Atlanta that started at 2:30 a.m. Eastern Time had affected its computer systems and operations worldwide, leading to the flight delays. It warned of large-scale flight cancellations on Monday and said that airport screens and other flight status systems were incorrectly showing flights as being on time. “Flights enroute are operating normally. Delta is advising travelers to check the status of their flights this morning while the issue is being addressed,” the airline said in a brief statement. 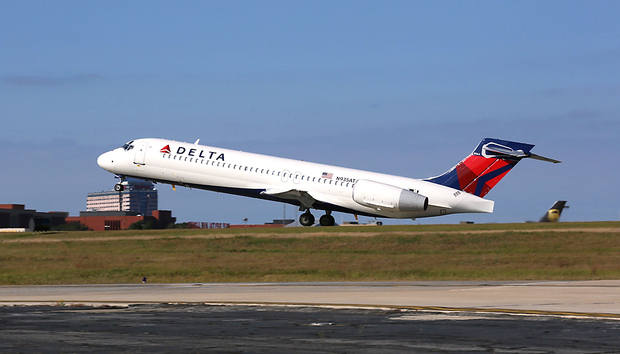 Delta has 809 aircraft, of which 191 are leased and the rest are owned by the airline. It carried the third largest number of passengers in 2015. It carried 138.8 million total scheduled passengers last year in comparison to 146.5 million for American Airlines and 144.6 million for Southwest Airlines, according to data from the International Air Transport Association (IATA). Southwest in Dallas had its own computer-related crisis last month when about 600 to 700 flights were canceled or delayed on its network because of what it described as performance issues with its technology systems.